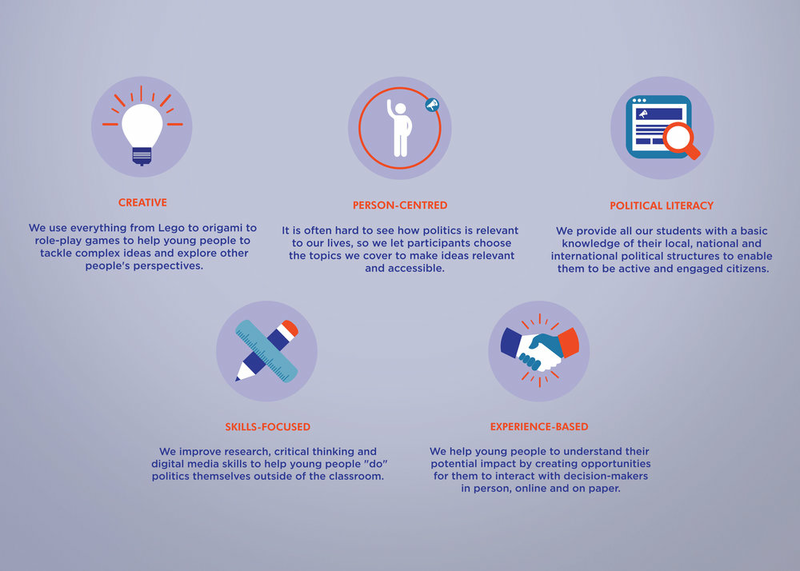 The Politics Project's speciality is providing people with outstanding political education, because they strongly believe that everyone should be enabled to use their voice. 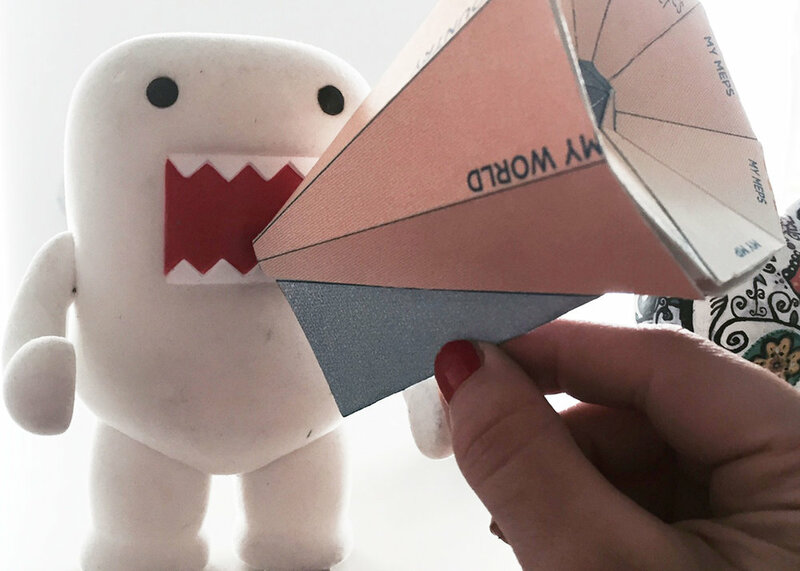 They approached us to create a fresh identity that would represent their growing business. Their request included an update of their existing logo, a selection of a meaningful colour palette which could accurately reflect their friendly and open approach and appeal to a young audience without distracting from the serious subject of politics. 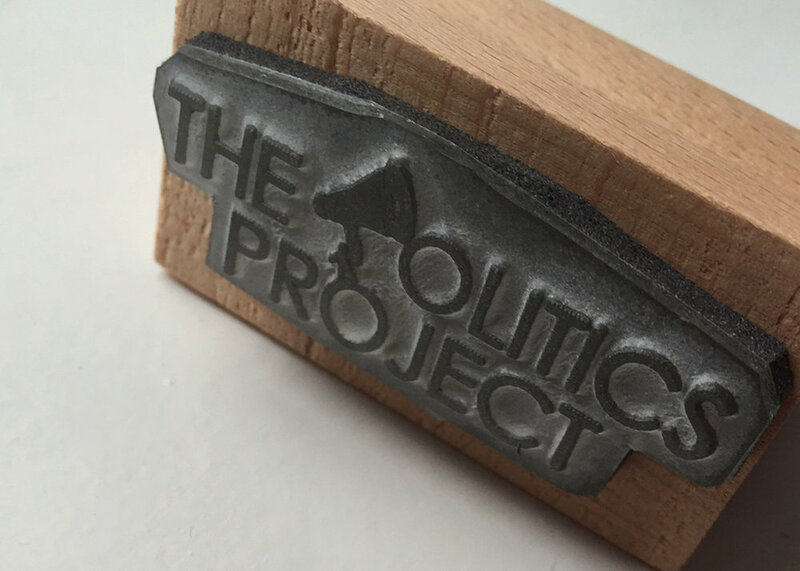 We produced a wooden stamp which was used to create a more informal look to their stationery and to copyright protect their printed material used during workshops. Corporate literature, PowerPoint presentations, charts, illustrations and business plan, were delivered as part of the overall print package. 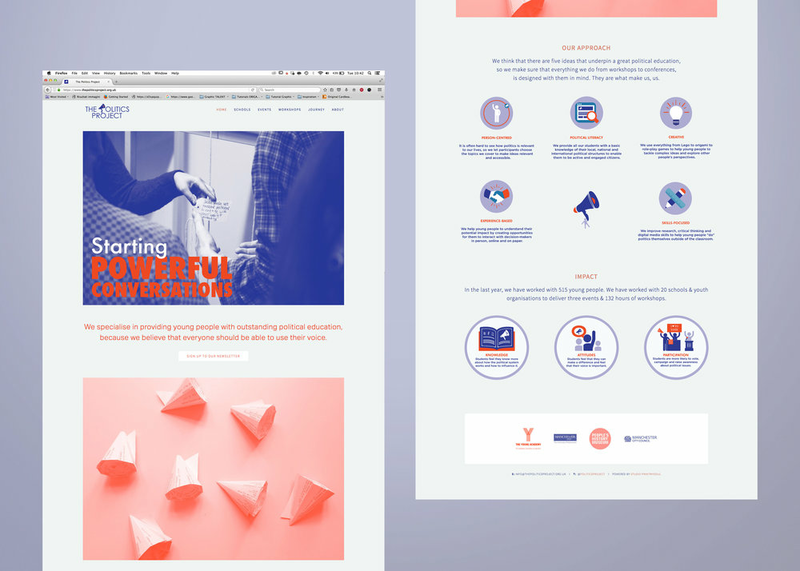 The next step involved the development a corporate website including design and build, featuring the new brand, with the objective to promote their upcoming workshops and inform potential customers of their educational service and its impact on local communities. 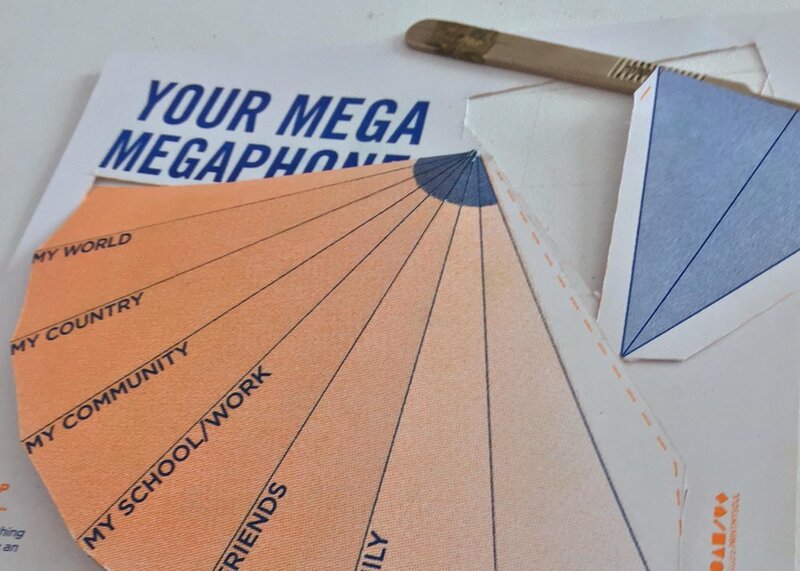 We had great fun working with their director to come up with the bespoke origami megaphone that allows an interactive approach with kids while discussing politics.